Record Store Day is of course a joy for music lovers all over the world. Special vinyl releases, re-releases of old and obscure records and loads of instore concerts by various bands. As usual, I visited Assen and Groningen. Now I could have packed my things and go home after Platosonic as I didn’t get to visit the endless amount of Eurosonic gigs that were held all over Groningen, but luckily there are a lot of gigs going on around the festival where you don’t actually need a Eurosonic ticket. Most of them however also don’t have a lot of light or simply hadn’t started when I got there. So enter Eurosonic Air: a big stage on the main square of Groningen where some of the bigger names were programmed for a full gig. 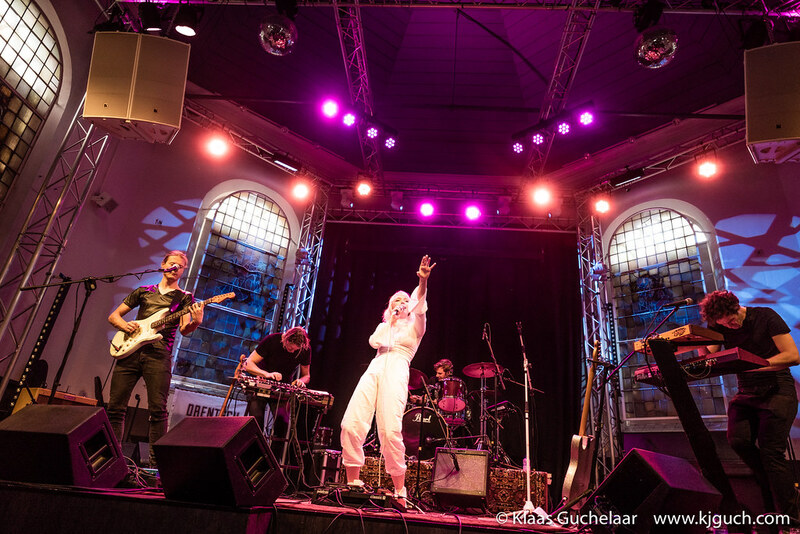 I really have Inge van Calkar/Zaza to thank for this great extra concert as she invited me after the photos I took of her at Schradinova’s gig. Back to Groningen again for a great night of music. There have been a good deal of great concerts in Groningen lately. And although it’s hard to keep up a schedule like the last two weeks, going cold turkey over night isn’t really working either, so I was very happy to see that Schradinova was coming to Vera. With Zaza opening for her no less!